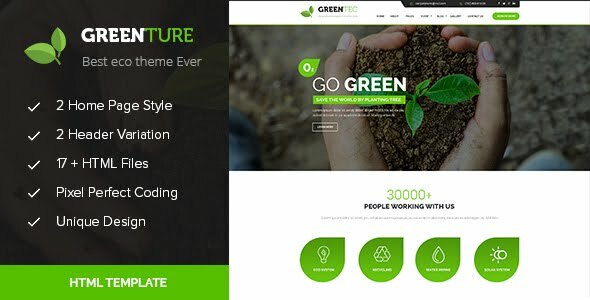 Greenture Template is web masterpiece which is perfect to promote your environmental projects or your green products business. It is compatible with all modern mobile devices. A very wall designed theme with a blog. Thank you for this amazing template.